If your business is expanding international trade with China, one of the most important decisions you need to make is choosing a shipping partner. Lost cargo, delayed deliveries, or inflated logistics costs can cut into profits and divert productivity unnecessarily. What a forwarding agent could do for you includes several different tasks. They not only work to avoid problems but also to make the transportation process, better, faster, and more efficient. As an experienced logistics company since 2003, CFC has kept providing freight services for the international trade companies all over the world. Although we can forward shipments almost from anywhere to any destination, our expertise fields are China shipping. No matter whether your cargo is large or small or you need a regular service or just a one-off shipment, we can meet your needs. We ensure your goods arrive Door to Door, Airport to Airport or Port to Port by the most cost-effective route to almost anywhere in the world. This is the right solution for larger shipments when time is not crucial, but volume and budget are an issue. We work closely with our local partners at the ports, including but not limited to Dalian, Tianjin, Qingdao, Shanghai, Ningbo, Xiamen, Shenzhen, Guangzhou. 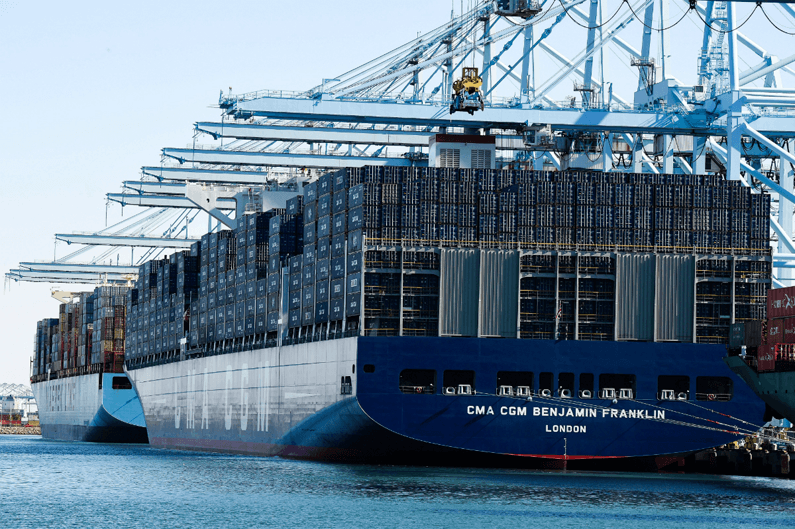 Meanwhile, we have been working closely with the carriers such as MSK, COSCO, MSC, CMA, APL, MOL, NYK, which means we can get great rates for you at the right time. FCL sea cargo and LCL sea cargo services are being offered for global transportation. For time-sensitive shipments, we offer air services enabling you to send your goods efficiently and safely. Our air forwarding networks cover almost all main airports. They are Shanghai, Beijing, Shenzhen, Guangzhou, Ningbo, Hangzhou, Xiamen. When you choose transportation by air, we know the clock is ticking. We’ll strive to move your items to any airport safely and timely at competitive rates. With our experienced specialists and dedicated service team, every single shipment can be delivered in perfect condition. Through the four main railway stations (Manzhouli, Suifenhe, Erlianhaote, Alashankou), we can arrange rail goods transportation to Russia, Mongolia and Central Asia, whilst working professionally and safely. Adhering to the strict service principle of efficiency, preciseness and flexibility, we win more clients’ trust to be their preferred forwarder. Check your rail station code. We can collect your goods from your supplier. Besides, we offer consolidation services for our clients. Once all the commodities are grouped together at our warehouse, we can ship them cost effectively, rather than sending them one by one. Besides, we can provide Door to Door delivery solutions to US, UK, Canada, Australia, New Zealand and more countries. This helps our customers save time and money. Getting through customs quickly and efficiently is one of our competitive advantages. As an international shipping supplier, we have expertise in preparing and processing customs and other documentation and performing activities pertaining to international shipments. Based on the long-term good relationship with the customs and the inspection and quarantine administration, we are capable to provide clients with the quickest customs declaration and inspection service to meet various demands of all our clients. We can entrust customers for the import and export of goods related to transport your insurance. And the insurance claims faster, reflects timely. Companies often require the shipping services if they plan on transport goods overseas, because they are unlikely to know the nitty-gritty details of international transportation laws and documentation, while freight brokers have regional expertise and knowledge of international processes, especially a local forwarding company with global delivery options. So these logistics needs above are necessary for most successful companies. Because outsourcing such tasks allows the firms to focus specifically on what they are best at. When the firms concentrate on specializing in products and forwarding agent focus on specializing in transportation and logistics services, both jobs become much more efficient and both parties benefit. We do better so you gain more. Take a look at what CFC can offer and if you have any suggestions that could help us better serve you, please don’t hesitate to let us know.